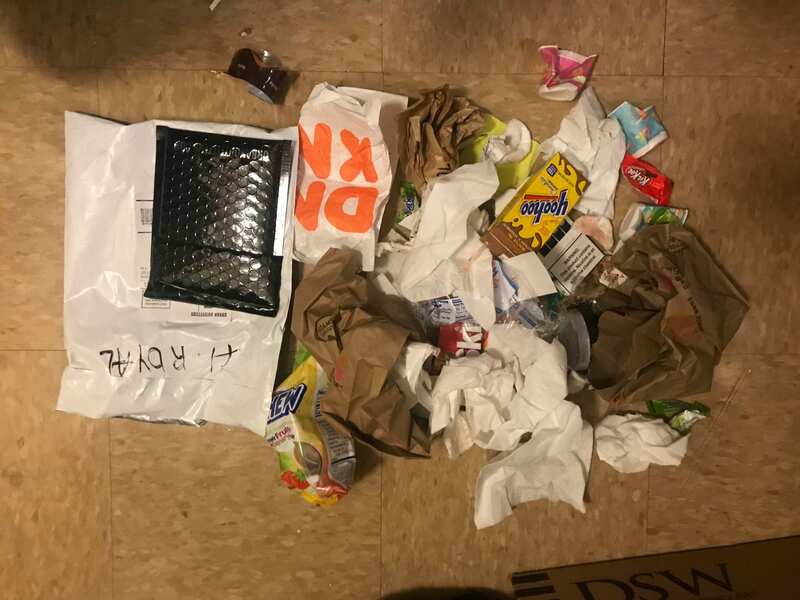 I noticed that a lot of my garbage came from food wrappers. As a new college student, I find that I often don’t cook, but rather pick up food in the cafeteria, or order in. I find that this is where a majority of my budget goes, as I am now responsible for my own groceries. 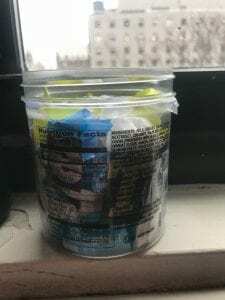 These food wrappers are what take up most of my garbage, as I tend to snack a lot, as I don’t have much time to eat full meals. As I was collecting trash I was also thinking of the things I could do to live a more sustainable lifestyle, such as bringing a reusable cup to coffee shops. My other trash comes from wrappers and leftover scraps of art supplies. I tend to work a lot with different materials, and therefore have left over pieces. One thing that this project brought my attention to was the idea of sustainable art, and reusing scrap materials for a new project. I gathered all of my leftover scraps and separated them into piles that could be used, and ones that can’t. I now have a place to put these materials for when I have upcoming projects. 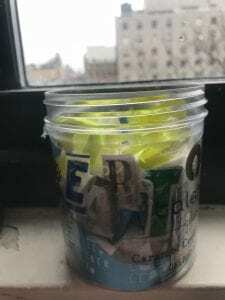 I transformed parts of my garbage into a snow globe of sorts, by using a washed out ice cream container. 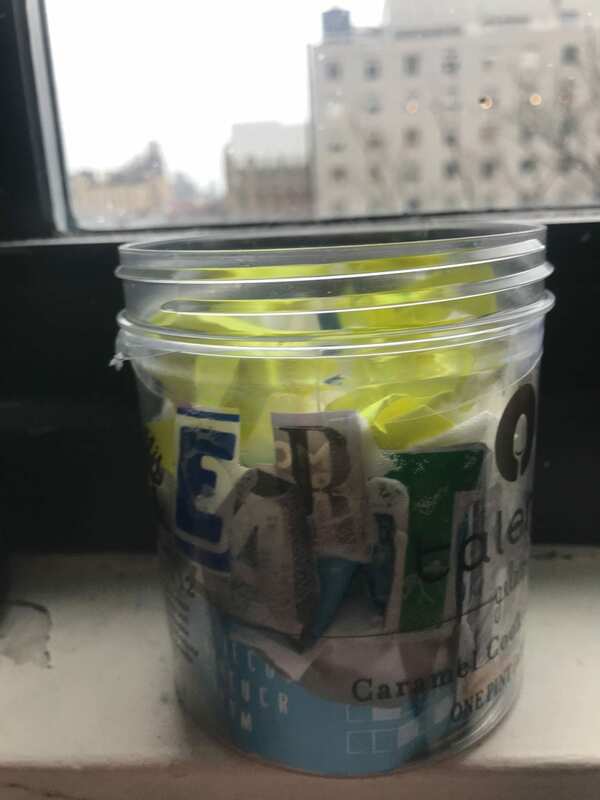 Along the inside, I collaged letters that I took from different brand packaging to write out the message ‘Save the Earth’. While I found that many of my trash items are not recyclable, I became more aware of what I was buying. Therefore I used these materials to create a message that was juxtaposed by the materials used. Inside the container I used white paper, and amongst that were other bits of trash that I had used in the past few days- representing various pollutants on Earth.